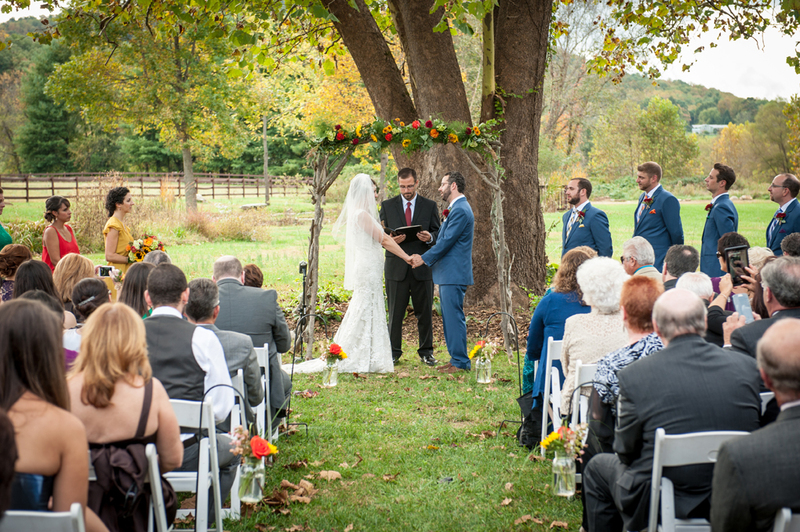 An outdoor wedding venue to hold both your ceremony and reception in one serene and beautiful location. 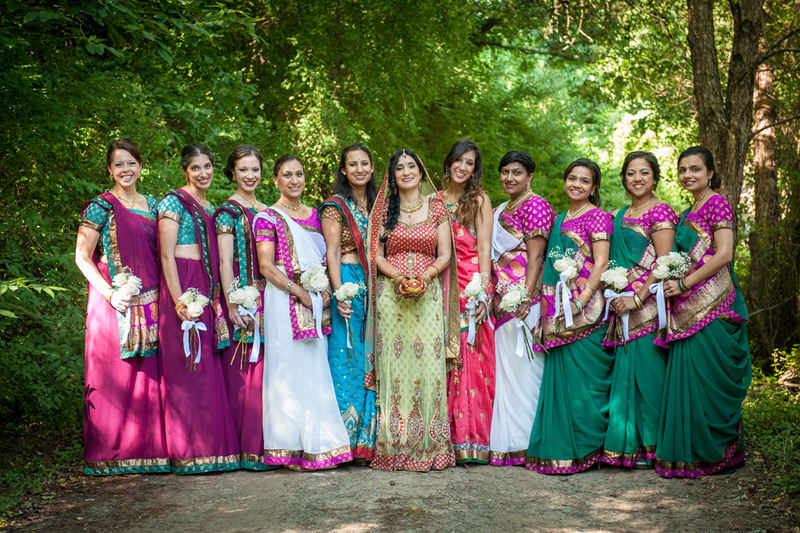 There is no need to worry about moving large numbers of people from the ceremony site to the reception site. 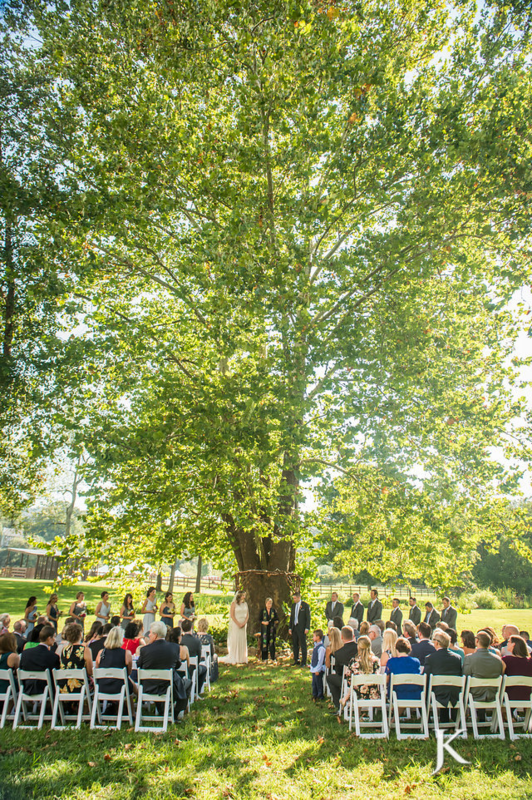 When considering wedding locations, this can be a key factor. 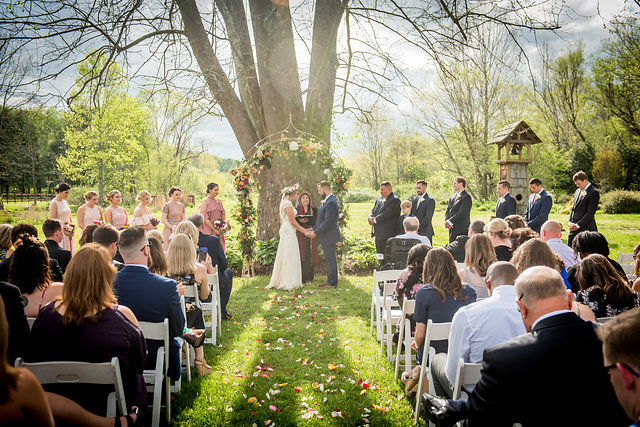 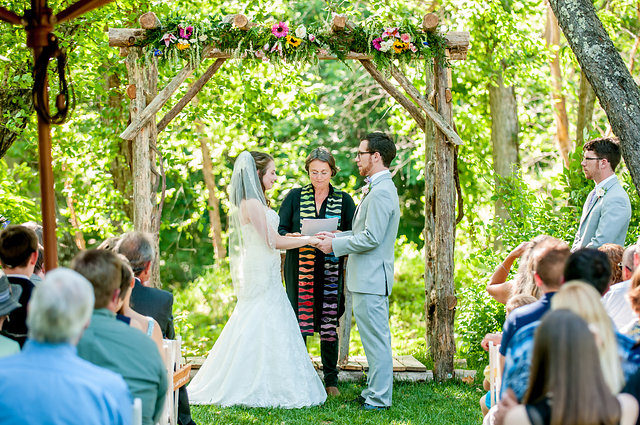 An outdoor ceremony and reception site is a wonderful alternative to a church or banquet hall, especially if there is a reliable back up for any weather related events, which we have at Hidden River. 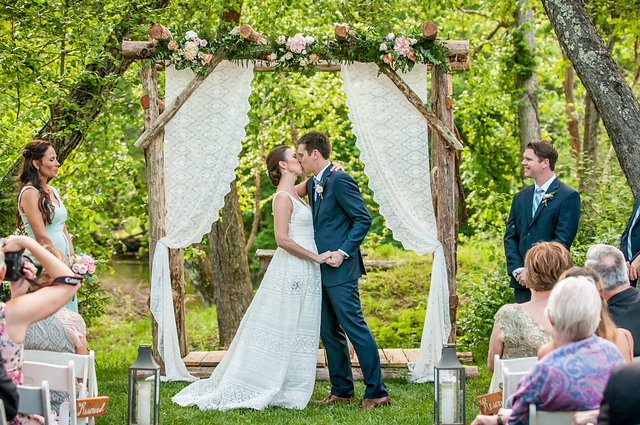 North Carolina weddings are popular because of all the amazing natural features our state has to offer. 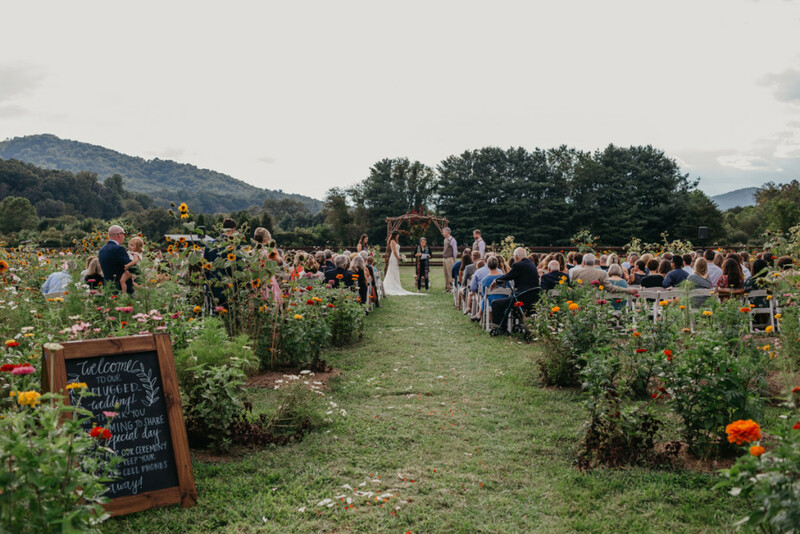 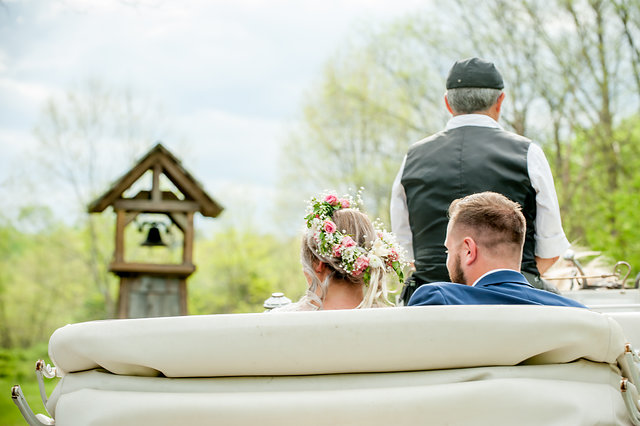 From the Outer Banks to the Piedmont to the Mountains, North Carolina has something to offer couples who seek a destination wedding in North Carolina or a simple hometown affair. 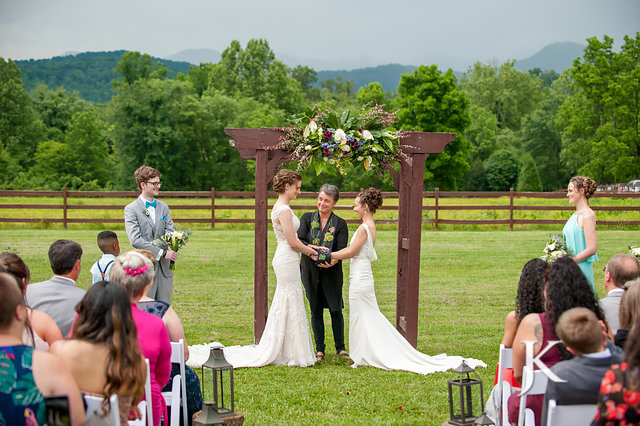 Asheville wedding venues are particularly compelling because of the mountain vistas. 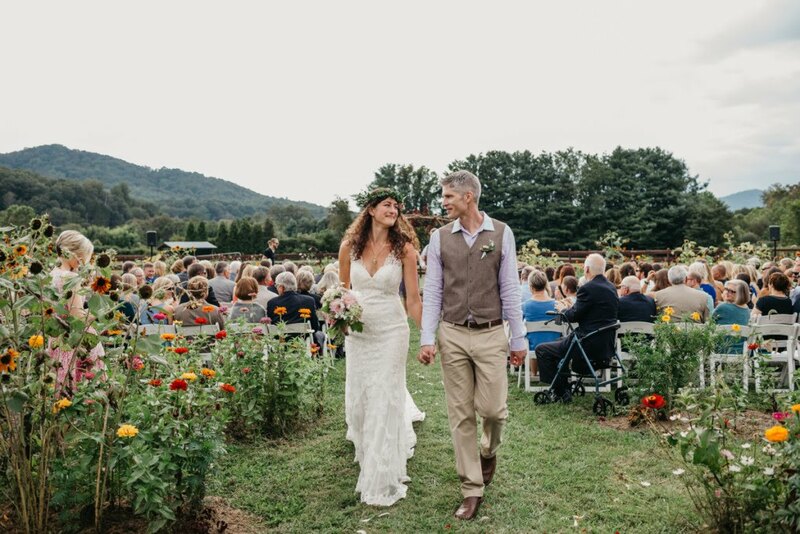 In our case, we have mountain views and more: river ceremony sites and pond ceremony sites along with our lovely outdoor gardens, perfect for a garden wedding. 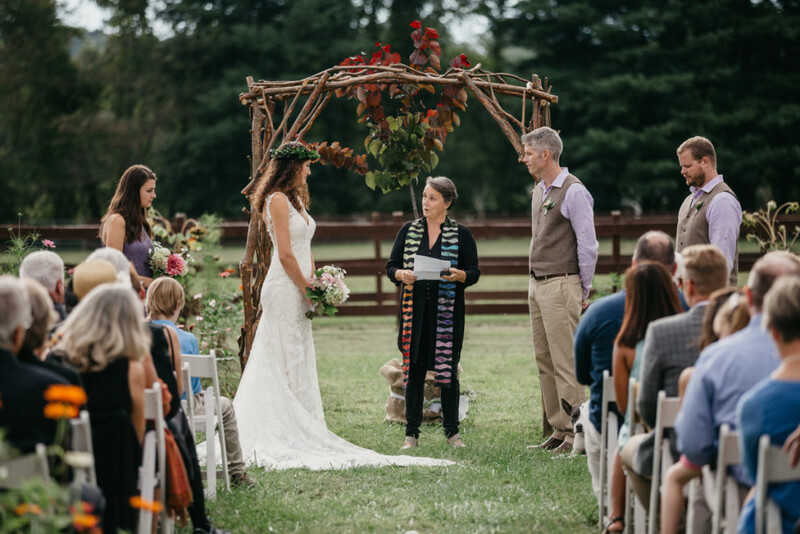 The fact that we have so many choices for outdoor ceremony and reception sites, along with our eco-friendly practices, makes us perfect for the couple who seeks a truly green wedding. 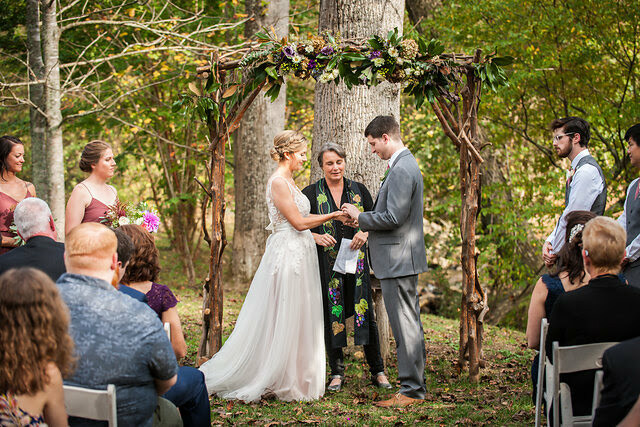 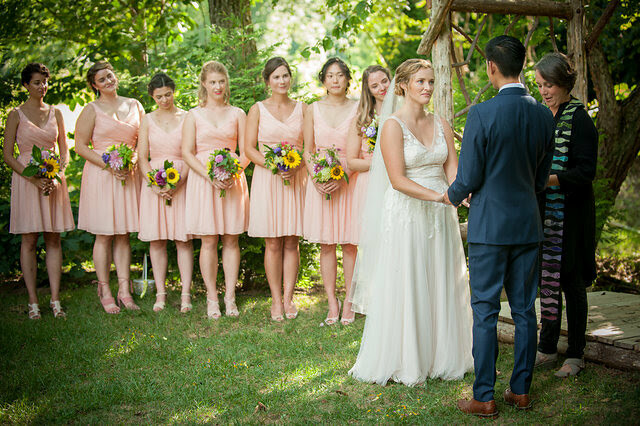 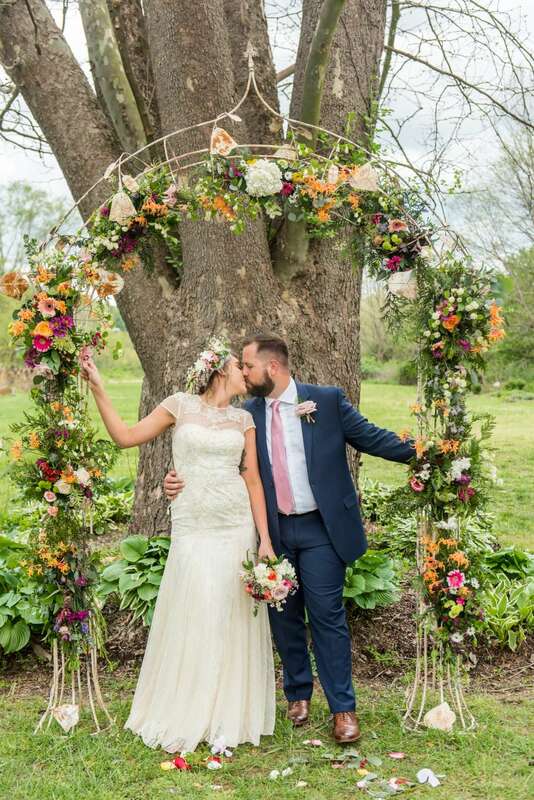 If you have wedding ideas flowing through your mind but you do not yet have the location where you can envision yourself standing with your beloved, surrounded by your closest family and friends, then Hidden River may just offer you that beautiful ceremony location that helps you to solidify your wedding ideas. 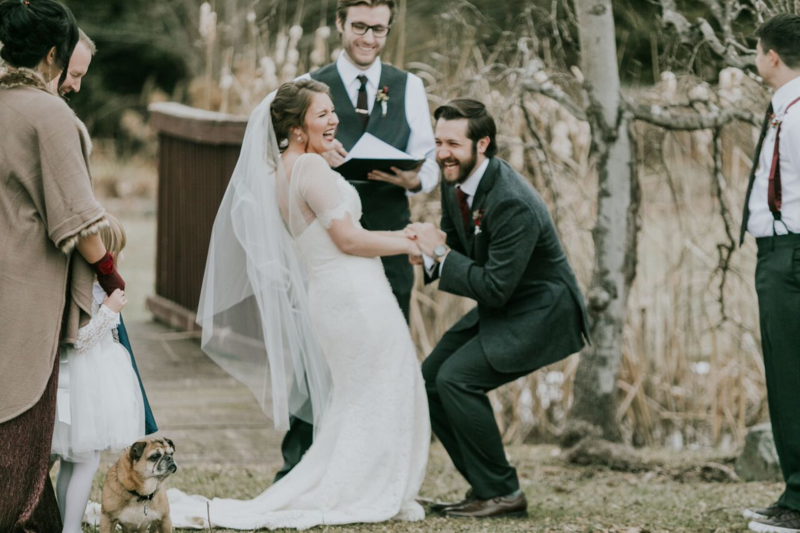 Hidden River is a rare, truly unique. 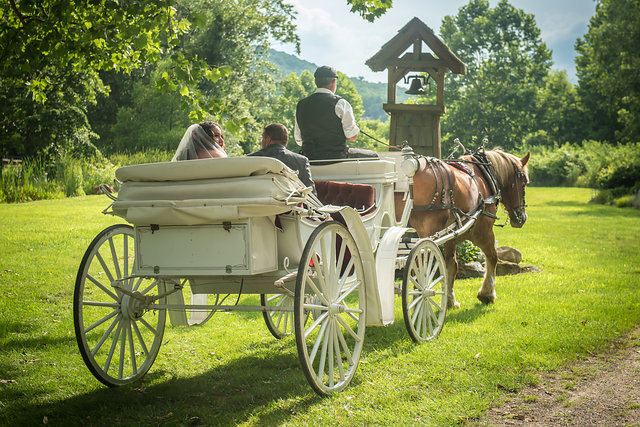 An Asheville wedding in a farm setting is not complete without our bridal carriage. 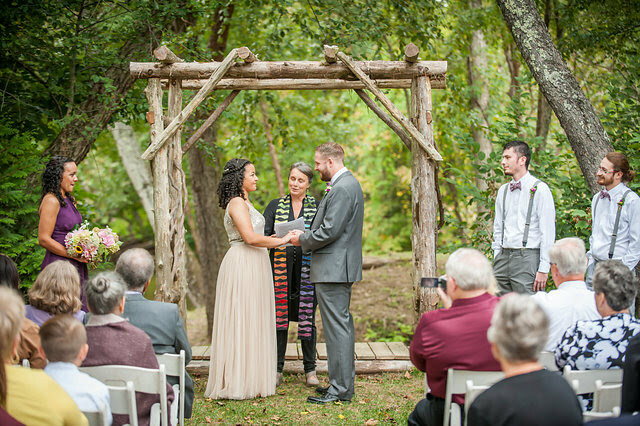 We call it “functional fantasy,” because it helps the bride (usually) get from “here to there” and it gives the couple a little bit of time to breathe and relax once the ceremony concludes. 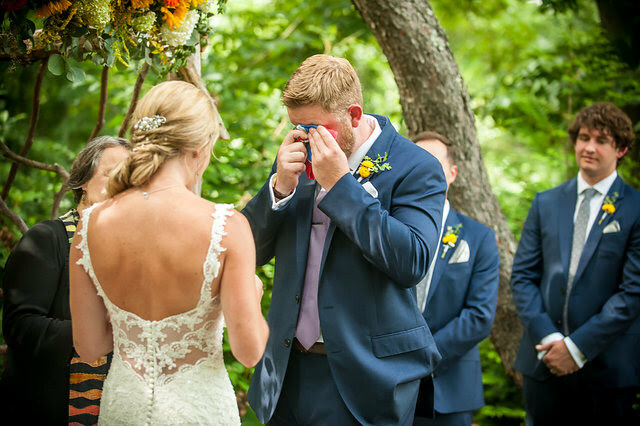 It’s all part of what we do to help make this the most real day in your in your life and the best day of your life to date (it should be the beginning of many more amazing days, not the pinnacle).